WAIST HIGH: 30-Day Depeche Mode Challenge - Day 14. 30-Day Depeche Mode Challenge - Day 14. @thewaisthigh #30dayDM Day 14 - Fav. 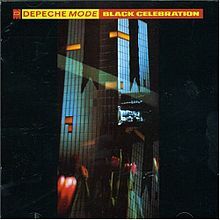 song from Black Celebration (the only DM album that has a title track) is "Black Celebration"